With a stay at Mercure Hotel Düsseldorf Neuss in Neuss (Erfttal), you'll be close to Uedesheimer Rheinbogen and St. Quirinus Neuss. 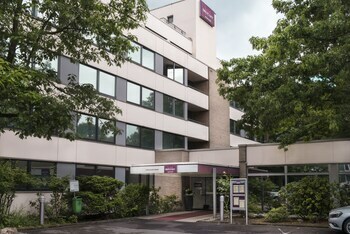 This 4-star hotel is within the vicinity of Freizeitpark Ulenbergstrasse and University of Duesseldorf. Stay in one of 115 guestrooms featuring flat-screen televisions. Complimentary wireless Internet access keeps you connected, and satellite programming is available for your entertainment. Bathrooms have complimentary toiletries and hair dryers. Conveniences include phones, as well as safes and desks. Featured amenities include a business center, complimentary newspapers in the lobby, and dry cleaning/laundry services. Planning an event in Neuss? This hotel has 0 square feet (0 square meters) of space consisting of conference space and meeting rooms. Self parking (subject to charges) is available onsite. 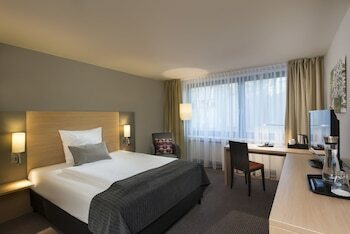 Mercure Hotel Dusseldorf Neuss is an amazing Neuss lodging choice for your trip to Germany. With numerous amenities for guests such as 24 hour front desk, fitness center, gift shop, you will wake up at Mercure Hotel Dusseldorf Neuss feeling invigorated every day for your time in Neuss. Don’t let this amazing reservation opportunity pass you by, book your stay at Mercure Hotel Dusseldorf Neuss today to make the most of your time in Neuss, Germany.